Chanting 'Death to America,' Iranian lawmakers convened an open session of parliament Tuesday following the White House's decision to designate Iran's elite paramilitary Revolutionary Guard a foreign terrorist organization. 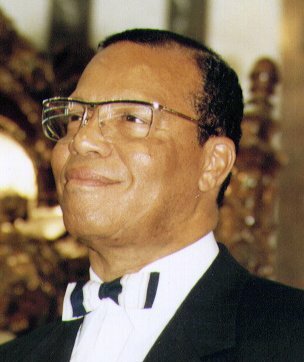 Nation of Islam leader and prominent antisemite Louis Farrakhan led chants of 'Death to America' and claimed that 'America has never been a democracy' on Sunday during a solidarity trip to Iran, ahead of the re-implementation of US sanctions on the country this week. Iranians chanting 'Death to America' rallied on Sunday to mark both the anniversary of the seizure of the US Embassy during the 1979 Islamic Revolution and the imminent re-imposition of US sanctions on Iran's key oil sector. U.S. President Donald Trump took aim at Iran on Tuesday as the General Debate of the 73rd Session of the U.N. General Assembly got underway. A leading Iranian ayatollah vowed in weekly prayer service in Tehran that the Islamic Republic 'will turn Tel Aviv and Haifa to rubble,' according to a translation of his remarks. Read the complete texts of remarks by US President Donald Trump and Prime Minister Benjamin Netanyahu at the White House on March 5, 2018. Ali is six, and yet already he fiercely chants 'Death to America' and 'Death to Israel' at a rally alongside his family. It is a typical Beirut rally, organized by the Shia militia Hezbollah, to protest US President Donald Trump's decision to recognize Jerusalem as the capital of Israel. The main prayer service in the Iranian capital has been interrupted by repeated chants of "Death to America" — despite this week's landmark nuclear deal with world powers that was welcomed by authorities in Tehran, the Associated Press reported. A senior Iranian military official said Sunday that despite the emerging nuclear deal between Iran and the US-led P5+1 group of world powers, America will remain Tehran's enemy.